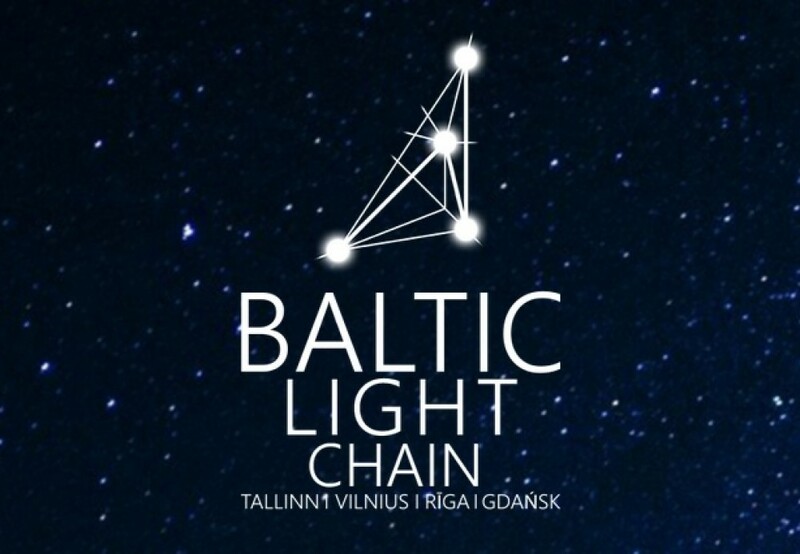 The BALTIC LIGHT CHAIN project idea was born in order to encourage cooperation between the institutions that organize light installation festivals in the Baltic Sea region (Poland, Lithuania, Latvia, Estonia), to get a synergy effect – to reach new audiences, to make festivals more professional through cooperation AND to help artists from Baltic States to internationalize their careers. Four cultural organizations that are partners of the project, organize light festivals in the region: Staro Riga (Latvia), Tallinn Light Biennale (Estonia), Beepositive (Lithuania) and Narracje (Gdansk). Common problems such as lack of high-quality creative ideas, lack of education for light designers, and lack of management experience in audience development motivated the idea to create a long term network of light festivals of Baltic States in order to balance supply and demand side in the region by constantly growing the quality level of the festivals, providing mobility and international career opportunities for artists and increasing awareness and understanding of target audience. Project will last 10 months and will include activities that will help art students in the region to get acquainted with new and innovative techniques working with light design objects, promote their careers through mobility and opportunities to showcase their artworks internationally. The panel of field experts will be launched in order to evaluate the situation of light design creative sector development in the region and to prepare the proposal for high schools for light design degree studies. The main event of the project will be BALTIC LIGHT CHAIN tour – interactive installations, projections and mapping projections, installation specifically created for disabled people by prominent and young artists from different countries will be showcased in four countries during the period of one month inflaming light chain in Baltic states.